St. Andrew’s Spring Book Fair will be held Monday April 30 through Friday May 4 in the Rosenberg Library. Mark your calendars to attend or volunteer. 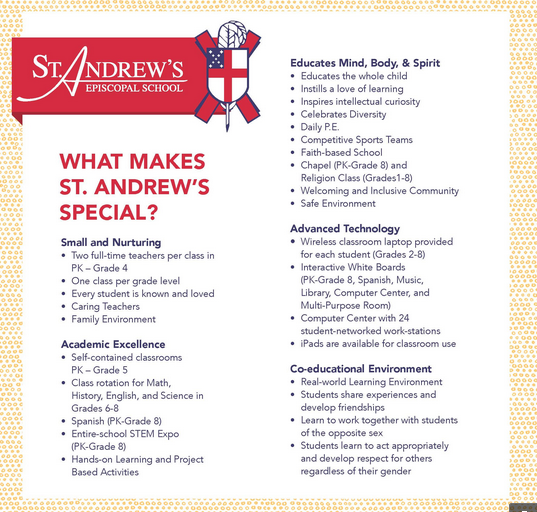 For more information and to volunteer please contact Librarian Anna Johnson at ajohnson@standrewsepiscopalschool.org. Thanks to all our wonderful volunteers!